The Club emphasises being a family friendly environment with the majority of its membership being made up of families and on average 40% of its members being under the age of 18. None of our tracks are competition tracks, they are all ride day tracks where members can enjoy riding their motorcycle in a safe environment. However, there is no age limit. Adults starting to learn to ride a motorcycle can also use the track and learn to control it in a safe environment. Experienced junior riders are put onto the Senior track to ensure that the Junior track remains an un-intimidating place to ride. 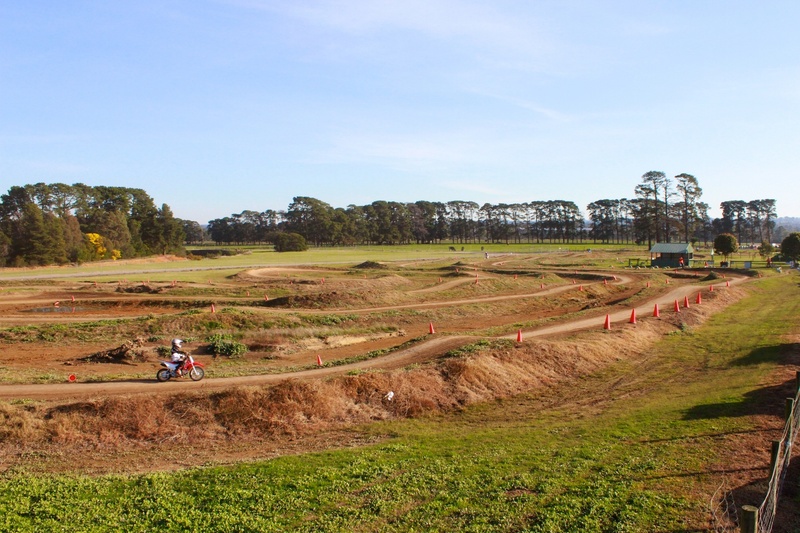 The track has all of the basic elements of a motocross track, but with gentle jumps and bends and good visibility. Junior riders must be supervised by a parent or guardian and have full safety gear when riding on the track. Parents are permitted onto the track to supervise their children. The Junior track has its own dedicated entrance and exit, and the pit area adjoining is separate from the senior area and its entry and exit to the Senior track. With its own shelter, picnic tables and chairs, it is a great environment for parents and children to enjoy a day riding.